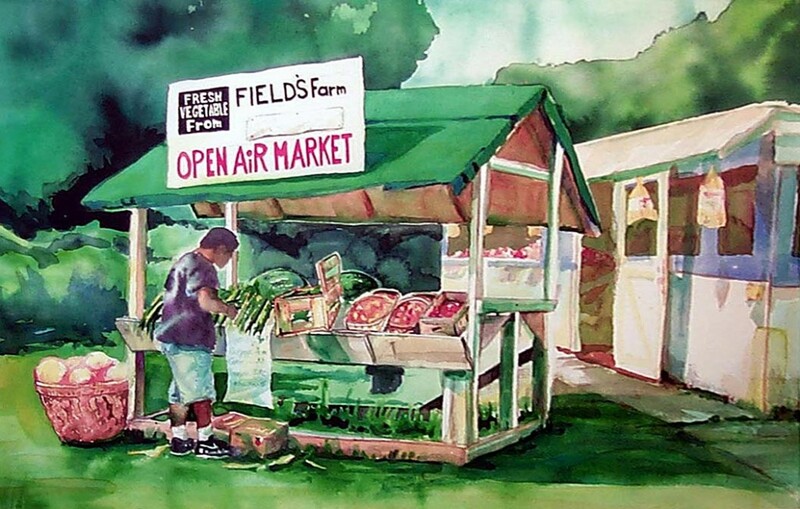 Field's stand is on the road to Kiawah and Seabrook. I loved the green roof every time I went around that bend in the road. It's been rebuilt since I painted it. The original hangs in my kitchen on a Ming orange wall. It's one of my all time favorites. The Field's family thinks they know who that is in the picture but they all declare "that's me! ".